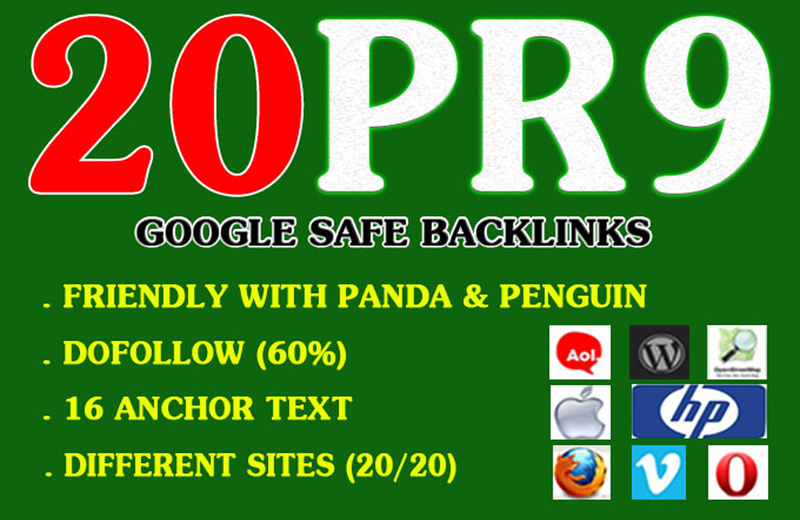 What you will get: 20+ PR9-PR8 AUTHORITY backlinks. <> Statistics says Google gives a significant importance to PR9 backlinks . <> The key to utilizing backlinks to increase your search engine rankings is not so much the quantity of links pointing to your site,but the quality of those links. And this service will ensure this. <> Any questions ? Don’t hesitate to contact us! <> Domain age up-to 5+ years. <> All posts will stay forever. <> 100% refund guarantee if not happy. <> 100% Approval Rate and 100% Manual work..
<> All Link are Dofollow, Permanent, homepage Links. <> All domains are well indexed on Google. Why wait? Order Today ! and get the benefit of these Service.